Murder by Gaslight: The School-girl Murder. Fourteen-year-old Mamie Kelly of San Francisco, had a crush on the boy next door, nineteen-year-old Aleck Goldenson. Though Aleck was the kind of boy who appeals to teenaged girls—an artist and a bit of a hoodlum—her family had no use for him at all. In spite of this, Mamie took every opportunity be near him. Aleck first enjoyed her attention, then tolerated it, then actively tried to put a stop to it. He ended their relationship for good one day in November 1886, when he met Mamie on the street and shot her in the face. According to a statement Aleck Goldenson wrote at the time of his arrest, he had met Mamie Kelly two years earlier when his family moved in to their house on Hayes Street in San Francisco. She was twelve then and he was seventeen. Mamie dropped a bracelet over the fence between her yard and his, and he picked it up for her. She later told him she had deliberately dropped it so she could get acquainted with him. After that she saw him quite frequently and he invited her in to see his artwork. Aleck would also visit at Mamie’s house and he gave her a silk handkerchief and other presents. Mamie lived with her grandmother and when she learned of their relationship she forbade Mamie from seeing Aleck. Beyond the obvious age difference, there were reasons for the grandmother to keep Mamie away from Aleck. He was an art student but was often in trouble both in and out of class. The San Francisco Bulletin wrote, “He is a young, hot-tempered fellow, and affects the style of dress adopted by the hoodlum element of the rising generation.” And it wasn’t just his style of dress; Goldenson had been arrested several times for drunkenness and vagrancy and once for battery. The more her family tried to keep her away from Aleck Goldenson the more determined Mamie became. She told Aleck she loved him and wanted him to take her away and marry her. When Aleck refused Mamie threatened to kill herself. Aleck realized that matters had gotten out of hand and he wrote her a four page letter telling her not to come to his house or speak to him again. …she started to abuse me, calling me a d—d Jew, that I was trying to fool her. I said, ‘Mamie, I told you long ago that I would not have you for a ton of gold.’ She called me a d—d Jew again, and I pulled out my revolver and shot her. 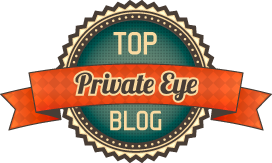 He fired one shot, hitting her just above the right eye; she fell to the ground, dying instantly. There were several witnesses to the event, including some of Mamie’s schoolmates. Goldenson began running away, chased by the driver of a laundry wagon who had had witnessed the murder. The chase was not necessary, as Goldenson ran straight to City Hall and told the police that he had shot his girl. The police verified the murder and found the revolver where Goldenson had thrown it outside City Hall. Goldenson wrote a long statement detailing his relationship with Mamie Kelly and the events preceding the murder. The note allegedly written by Mamie Kelly was found in his pocket, but Mamie’s grandmother and her teacher both said it was not in her handwriting. The police wasted no time indicting Goldenson, a coroner’s jury was assembled who found that the murder was done with malice aforethought, without cause, and charged him with “cold-blooded murder.” News of the murder had spread throughout San Francisco, and as the hearing proceeded, as many as 10,000 people gathered around City Hall, calling for “lynch law.” Police officers, with drawn clubs, finally broke up the crowd, arresting six for inciting a riot. Goldenson was whisked to County Jail. Goldenson’s family hired attorney Eugene N. Deuprey to represent Aleck. Deuprey filed motions with the court asserting the indictment against his client was illegal since he was not notified in time to prepare a case or call witnesses. He also moved for a change of venue because the public was prejudiced against him. When Judge Murphy denied both motions, Deuprey moved that the court form a commission to take depositions of witnesses living in Russia and in New York State, who could testify that the Goldenson family had a history of “mental unsoundness.” The judge said he would take the matter under advisement but would not delay the trial. I have given the matter a great deal of thought. If the defendant’s relatives refuse to give necessary information to the attorneys appointed by the Court, the Court is not responsible. Call the jury. After the verdict, Deuprey rejoined the case and he and the court appointed attorneys filed several motions for a new trial and all were denied. The case was appealed to the California Supreme Court but the verdict was upheld. 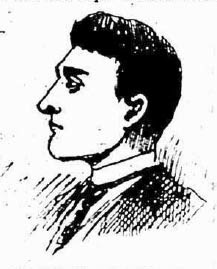 Alexander Goldenson was sentenced to hang on September 14, 1888. While awaiting execution Goldenson exhibited hostile behavior. He was rude and abrasive to his jailers and others who came to see him. He would listen politely to evangelists and even sing hymns with them then when they left he would cruelly mimic them to the enjoyment of the other prisoners. After a visiting sheriff from Wisconsin was subjected to vile epithets from Goldenson, he was put in a “dark cell.” That night groans were heard from the cell and when it was opened the jailers found that Goldenson had cut his wrists with a penknife. The wounds were not deep enough to suggest suicide but they did get him out of the dark cell and into one where he could be watched more closely. Twice he was found to be in possession of morphine provided by visiting friends. As his execution date approached, Goldenson began to mellow. On his cell wall was a photograph of Mamie Kelly in her confirmation dress; he declared that she was his only love. He said that his original statement was false and the murder was not premeditated. He called it a “minute” crime. It happened so quickly that he was confused by it ever since. With one hand, Goldenson, himself, put the noose around his neck and the black cap was drawn over his head. At12:08 the trap was sprung and Goldenson died still holding the picture of his young victim. "A Boy Murderer to be Hanged". New York Tribune 29 Mar 1887. "A Strange Case". San Francisco Bulletin 14 Sep 1888. "A Successful Ruse". San Francisco Bulletin 8 May 1887: 1. "Cold-Blooded Murder". San Francisco Bulletin 12 Nov 1886: 2. "Died Game." The National Police Gazette 6 Oct 1888: 6. "Goldenson to Hang". San Francisco Bulletin 14 Apr 1887: 2. "Goldenson's Tales". San Francisco Bulletin 30 Aug 1888. "Hanged!". 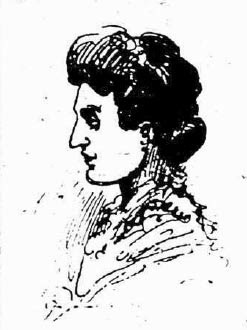 San Francisco Bulletin 14 Sep 1888. "Killed His Sweetheart". Daily Illinois State Journal 11 Nov 1886. "Long Quest for Jurors". 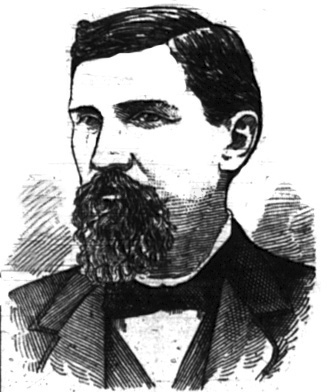 San Francisco Bulletin 3 Mar 1887. "The Goldenson Case." San Francisco Bulletin 21 Feb 1887: 2. "The Goldenson Case." San Francisco Bulletin 7 Mar 1887: 2. "The Goldenson Trial." San Francisco Bulletin 9 Mar 1887: 2. 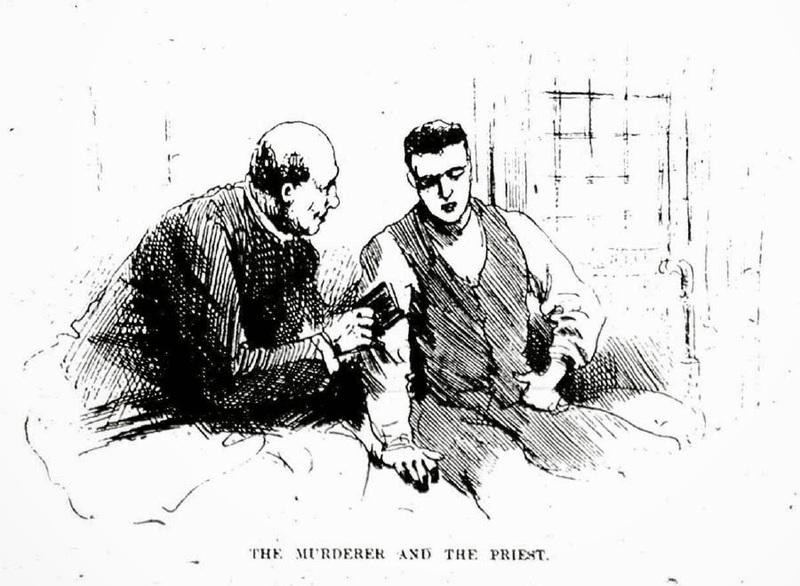 "The Recent Murder." San Francisco Bulletin 13 Nov 1886. "Yesterday's Murder." San Francisco Bulletin 11 Nov 1886: 2. One day I'll show the art paintings from Aleck. My family was fortunate enough to find them hidden in a San Francisco home in a crawlspace and attic.